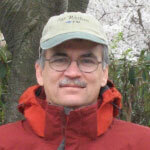 Brian has extensive archaeological experience in a variety of semi-arid and arid settings world-wide. He received his Ph.D. from the University of Arizona. Until the early 1990s, he conducted research in the Near East exploring the transition from hunting and gathering to farming, the onset of sedentary life, and the social organization of early villages at the end of the Pleistocene. Since 1992, he has directed numerous cultural resources management projects throughout California focused on the archaeological record of ancestral Native Americans. These studies have ranged from large-scale surveys to extensive data recovery excavations, in localities such as the San Francisco Bay area, the Central Valley, the Mojave Desert, Owens Valley, along the southern California coast, and on the Chanel Islands. He joined the Far Western team in 2004. Brian is interested in hunter-gatherer adaptations and the origins of social complexity from a cross-cultural perspective. His investigations into ancestral hunter-gatherers are often interdisciplinary in nature, and explore the complex interrelationship between human decision-making, social interaction and complexity, and environmental factors. In 1999, he was awarded the Thomas E. King award for excellence in cultural resources management from the Society for California Archaeology. He is also a research associate with the Department of Anthropology, University of California, Davis, and an enrolled member in the federally recognized Shawnee Tribe. 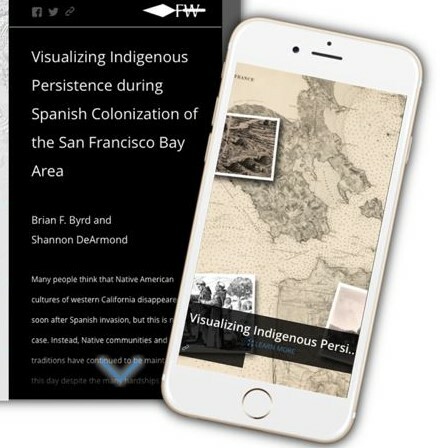 Re-visualizing Indigenous Persistence during Colonization from the Perspective of Traditional Settlements in the San Francisco Bay-Delta Area. Journal of California and Great Basin Anthropology 38(2): 163–190. San Francisco Bay-Delta Regional Context and Research Design for Native American Archaeological Resources, Caltrans District 4. Report submitted to Caltrans District 4, Oakland. Celebrating the Dead and Recrafting Social Identity: Placing Prehistoric Mortuary Practices in Broader Social Context. Chapter 11 In Archaeological Variability and Interpretation in Global Perspective edited by Alan R. Sullivan III and Debroah I. Olszewski pp.233-266. University Press of Colorado. Beyond the Fertile Crescent: Late Palaeolithic and Neolithic Communities of the Jordanian Steppe. The Azraq Basin Project Volume 1: Project Background and the Late Palaeolithic (Geological Context and Technology). Council for British Research in the Levant Supplemental Series Vol. 13, Oxbox Books, Oxford. The Role of Canids in Ritual and Domestic Contexts: New Ancient DNA Insights from Complex Hunter-gatherer Sites in Prehistoric Central California. Journal of Archaeological Science 40:2176-2189. Public and Private, Domestic and Corporate: The Emergence of the Southwest Asian Village. The Archaeology of Tribal Social Formations: Selections from American Antiquity, edited by Michelle Hegmon, pp. 109-136. Early Village Life at Beidha, Jordan: Neolithic Spatial Organization and Vernacular Architecture. British Academy Monographs in Archaeology 12. Published for the Council for British Research in the Levant by Oxford University Press. ISBN 01972013-1.